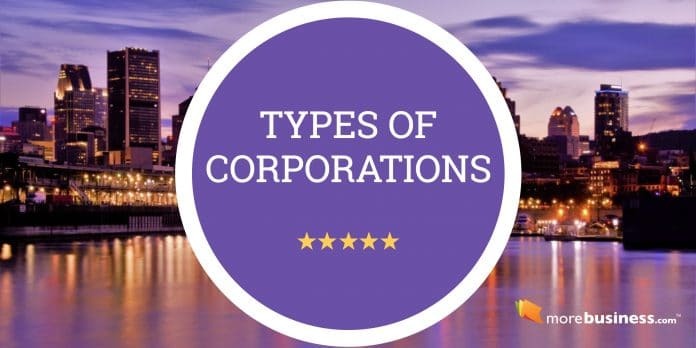 What are the different types of corporations? Should you form an LLC instead? Learn the corporation advantages and disadvantages of a C corporation, an S corporation, and an LLC. Also, find out how to file online and save lots of money in legal fees. Anyone who operates a business, alone or with others, may incorporate. This is also true for anyone or any group engaged in religious, civil, non-profit or charitable endeavors. You do not have to be a business giant to be able to have the financial and other benefits of operating a corporation. Given the right circumstances, the owner(s) of a business of any size can benefit from incorporating. There are different types of corporations. Here are the pros and cons of each type of business structure to help you decide which one is right for you. This is the most common corporate structure. The corporation is a separate legal entity that is owned by stockholders. A general corporation may have an unlimited number of stockholders that, due to the separate legal nature of the corporation, are protected from the creditors of the business. A stockholder’s personal liability is usually limited to the amount of investment in the corporation and no more. With the Tax Reform Act of 1986, the S Corporation became a highly desirable entity for corporate tax purposes. An S Corporation is not really a different type of corporation. It is a special tax designation applied for and granted by the IRS to corporations that have already been formed. Many entrepreneurs and small business owners are partial to the S Corporation because it combines many of the advantages of a sole proprietorship, partnership and the corporate forms of business structure. S Corporations have the same basic advantages and disadvantages of general or close corporation with the added benefit of the S Corporation special tax provisions. When a standard corporation (general, close or professional) makes a profit, it pays a federal corporate income tax on the profit. If the company declares a dividend, the shareholders must report the dividend as personal income and pay more taxes. 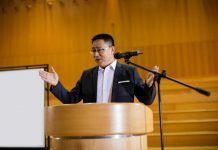 S Corporations avoid this “double taxation” (once at the corporate level and again at the personal level) because all income or loss is reported only once on the personal tax returns of the shareholders. However, like standard corporations (and unlike some partnerships), the S Corporation shareholders are exempt from personal liability for business debt. Prior to the 1996 Tax Law, the maximum number of shareholders was 35. The maximum number of shareholders for an S Corporation has been increased to 75. Previously, S Corporation ownership was limited to individuals, estates, and certain trusts. Under the new law, stock of an S Corporation may be held by a new “electing small business trust.” All beneficiaries of the trust must be individuals or estates, except that charitable organizations may hold limited interests. Interests in the trust must be acquired by gift or bequest — not by purchase. Each potential current beneficiary of the trust is counted towards the 75 shareholder limit on S Corporation shareholders. S Corporations are now allowed to own 80 percent or more of the stock of a regular C corporation, which may elect to file a consolidated return with other affiliated regular C corporations. The S Corporation itself may not join in that election. 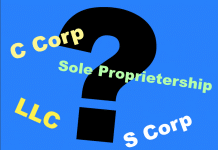 In addition, an S Corporation is now allowed to own a “qualified subchapter S subsidiary.” The parent S Corporation must own 100 percent of the stock of the subsidiary. Qualified retirement plans or Section 501(c)(3) charitable organizations may now be shareholders in S Corporations. All S Corporations must have shareholders who are citizens or residents of the United States. Nonresident aliens cannot be shareholders. An S Corporation can generally provide employee benefits and deferred compensation plans. S Corporations eliminate the problems faced by standard corporations whose shareholder-employees might be subject to IRS claims of excessive compensation. Certain affiliated groups of corporations. Keep in mind, these lists of qualifying S Corporation aspects are not all-inclusive. In addition, there are specific circumstances in which an S Corporation may owe income tax. For more detailed information about these changes and other aspects regarding S Corporation status, contact your accountant, attorney or local IRS office. To become an S Corporation, you must know the mechanics of filing for this special tax status. Your first step is to form a general, close or professional corporation in the state of your choice. Second, you must obtain the formal consent of the corporation’s shareholders. This consent should be noted in the corporation’s minutes. Once the filing is approved, your company must complete Form 2553, Election by a Small Business Corporation. This form must be filed with the appropriate IRS office for your region. Please consult the IRS’ instructions for Form 2553 to determine your proper deadline for completing and submitting this form. MoreBusiness.com partner, Incorporate.com, can assist you in preparing and submitting the IRS Form 2553 as part of your incorporating process. Please see our online order form for additional details. LLCs have long been a traditional form of business structure in Europe and Latin America. LLCs were first introduced in the United States by the state of Wyoming in 1977 and authorized for pass- through taxation (similar to partnerships and S Corporations) by the IRS in 1988. With the recent inclusion of Hawaii, all 50 states and Washington, D.C. have now adopted some form of LLC legislation for both domestic and foreign (out of state) limited liability companies. Many business professionals believe LLCs present a superior alternative to corporations and partnerships because LLCs combine many of the advantages of both. With an LLC, the owners can have the corporate liability protection for their personal assets from business debt as well as the tax advantages of partnerships or S Corporations. It is similar to an S Corporation without the IRS’ restrictions. LLCs often have a limited life (not to exceed 30 years in many states) Some states require at least 2 members to form an LLC, and LLCs are not corporations and therefore do not have stock — and the benefits of stock ownership and sales. As with the S Corporation listing, these lists are not inclusive. For more detailed information, please be sure to speak with a qualified legal and/or financial advisor. Before January 1, 1997, the Internal Revenue Service determined whether a limited liability company would be taxed “like a partnership” or “like a corporation” by analyzing its legal structure or by requiring the members to elect the tax status on a special form. Effective January 1, 1997, the IRS has simplified this process. Pursuant to these new IRS regulations, if a limited liability company has satisfied IRS requirements, it can be treated as a partnership for federal tax purposes. As such, LLCs are required to file the same federal tax forms as partnerships and take advantage of the same benefits. However, this is still a highly technical area, and if you require further information, it is recommended that you communicate with the Internal Revenue Service or consult a competent professional such as a qualified tax accountant or attorney. Fill out this form for details on registering your business. If you’re not sure which type of company to register, click Limited Liability Company or your best guess. Article Copyright by The Company Corporation. All Rights Reserved.